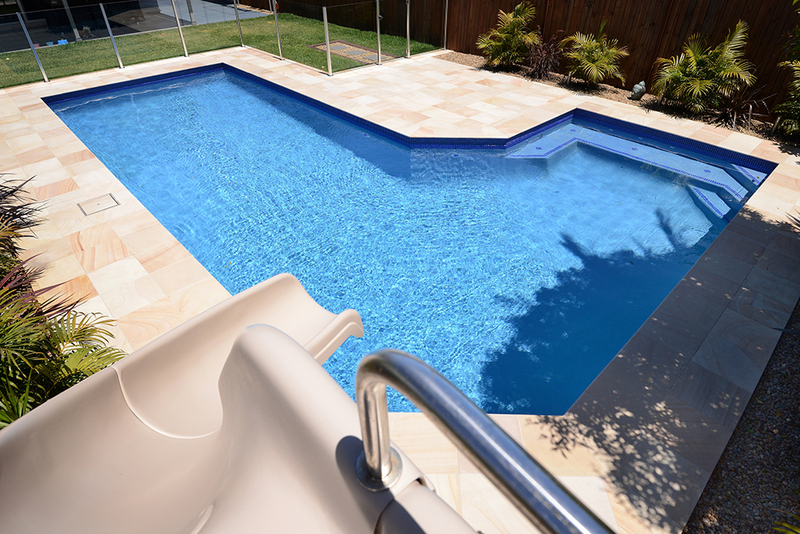 One of the great advantages of in-ground concrete swimming pools is flexibility when it comes to adding additional features to your swimming pool. 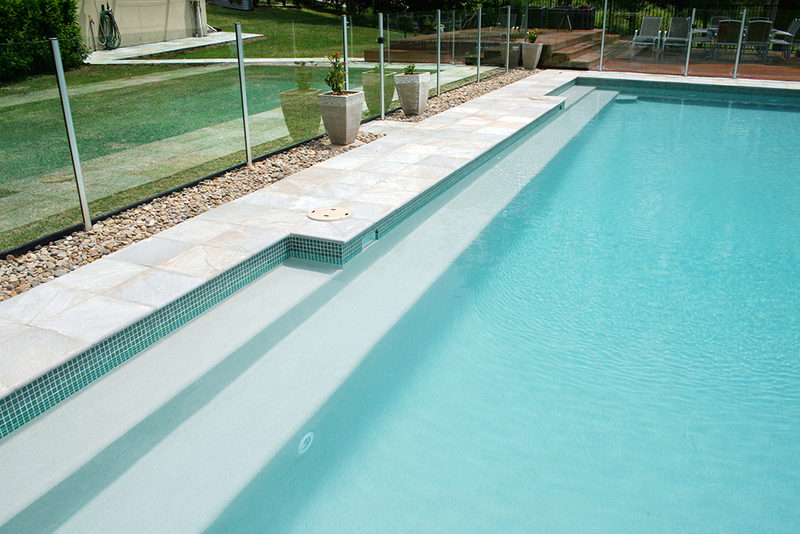 Features such as swimming pool steps and ledges can be customized to suit your individual needs when choosing a concrete swimming pool. 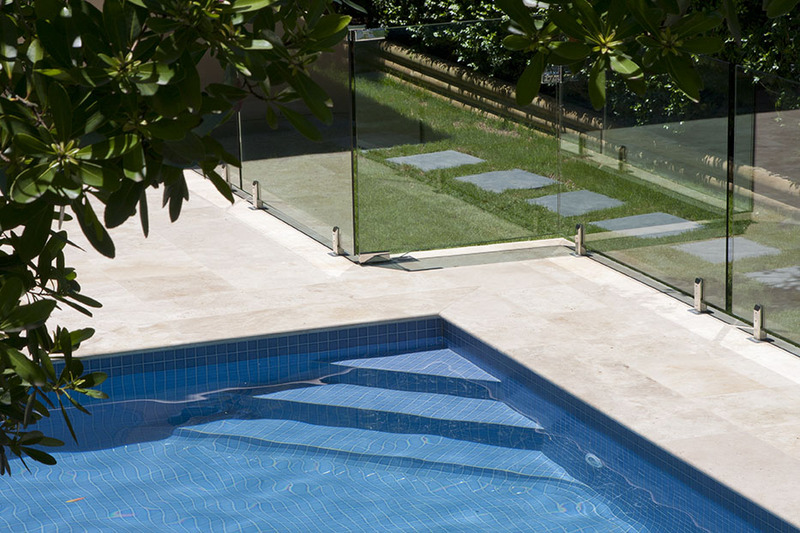 This flexibility is especially important on smaller properties where there are limited access options from the surrounds. 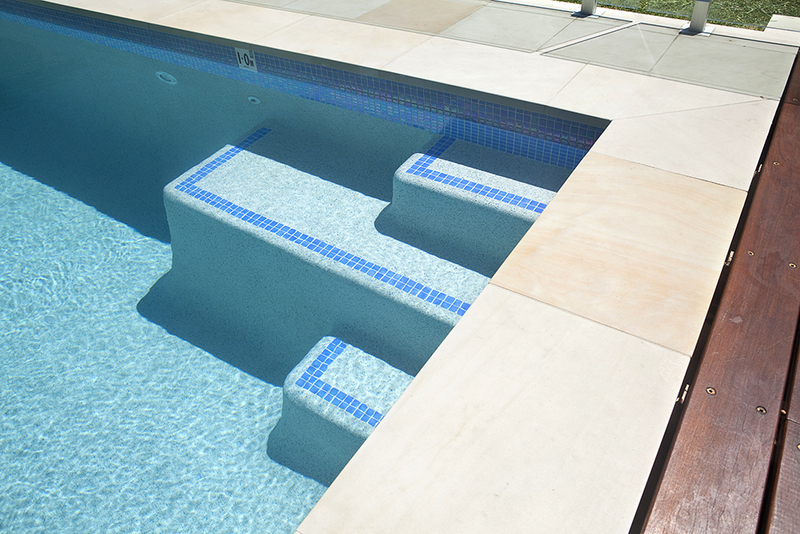 Steps can be designed to meet a great range of configurations and styles. 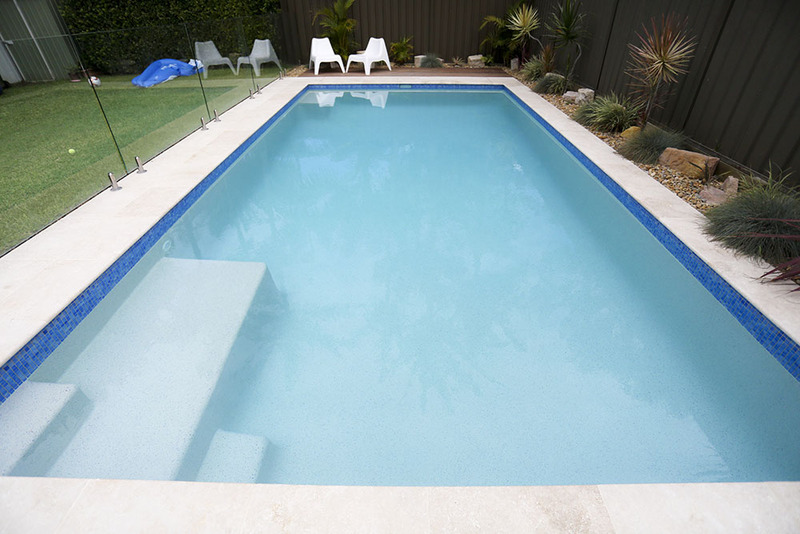 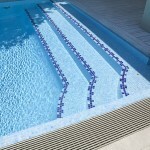 A concrete swimming pool typically has three entry steps at the shallow end with rounded edges and corners for safety, but the actual design and layout largely depends on the needs of the customer. 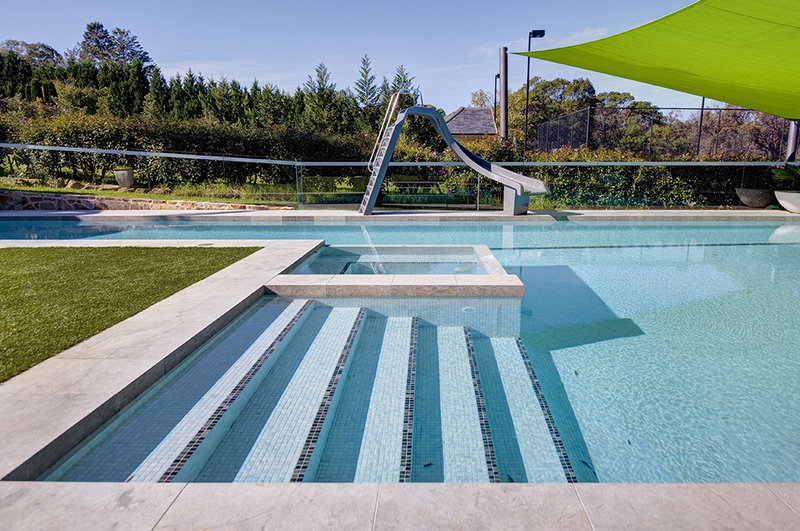 “Many customers also choose to extend the second step at depth of approximately 600mm as a additional activity zone,” says Andrew. 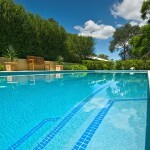 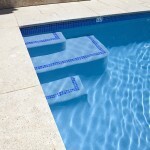 Another popular style is what we call ‘wedding cake’ steps in the corner of the pool. 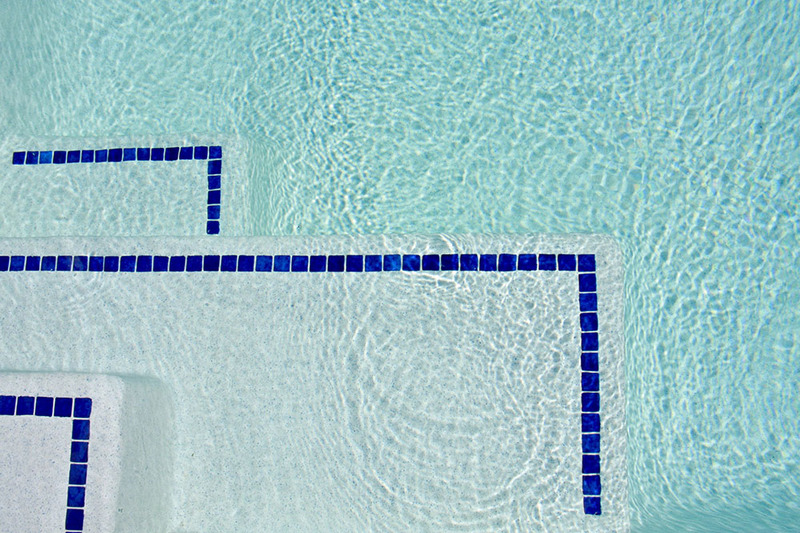 These are rounded so you can enter from either the left or right. 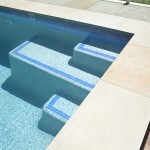 Steps usually have the same lining as the pool such as pebble creek or fully titled. 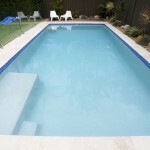 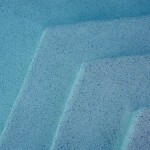 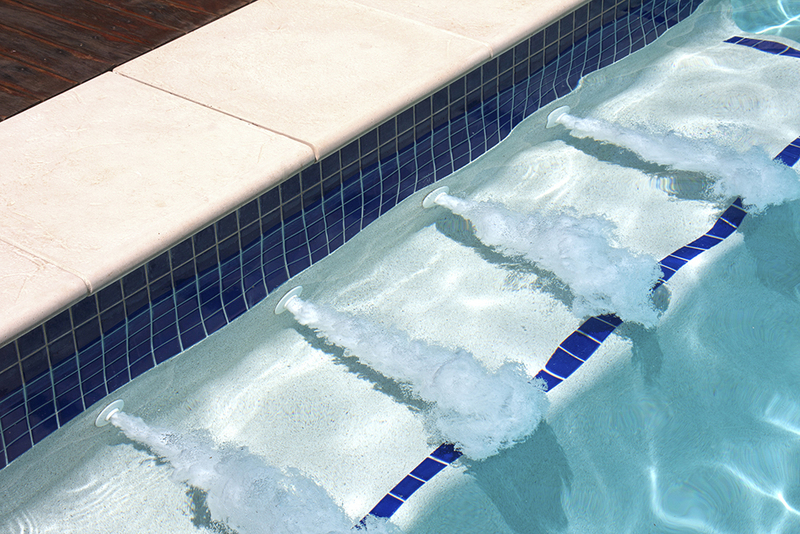 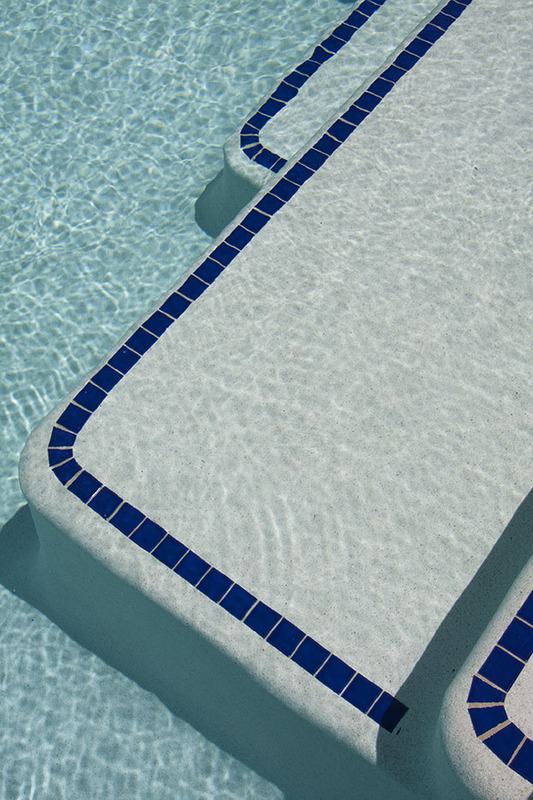 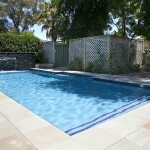 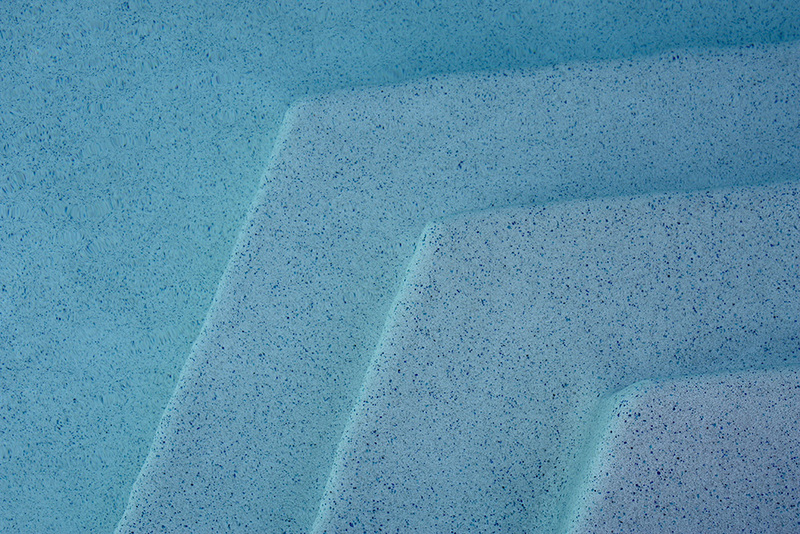 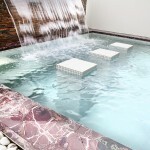 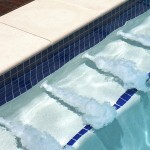 If fully titled, Crystal Pools recommends a non-slip tile on the edges. 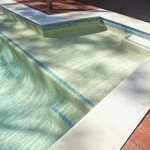 As with ledges, all steps need to be fitted with a tread-line tile. 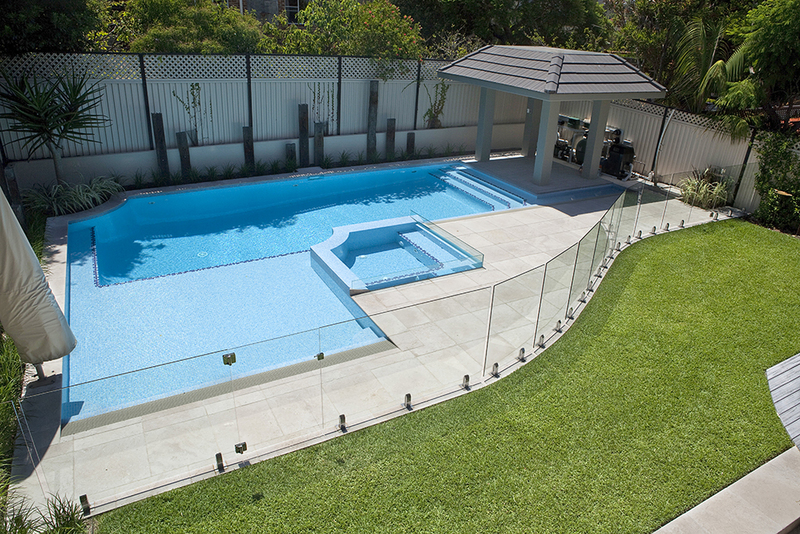 “Ledges are becoming more and more popular,” say’s Crystal Pools Sales Manager, Andrew Rothery. 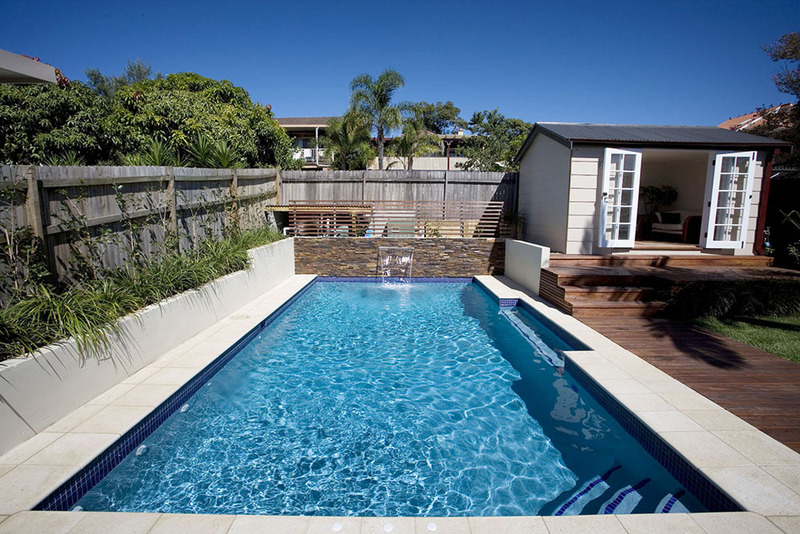 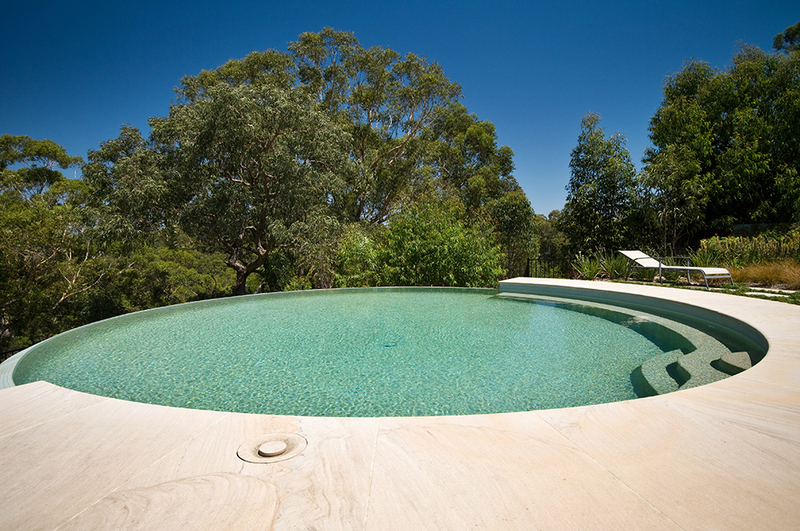 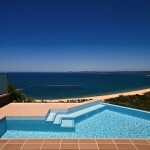 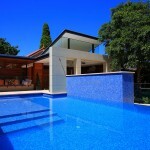 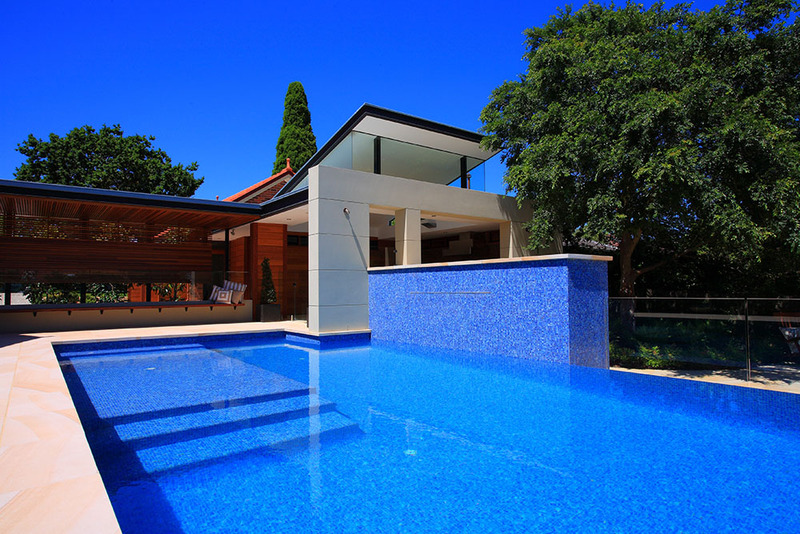 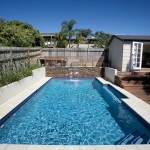 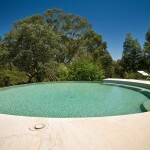 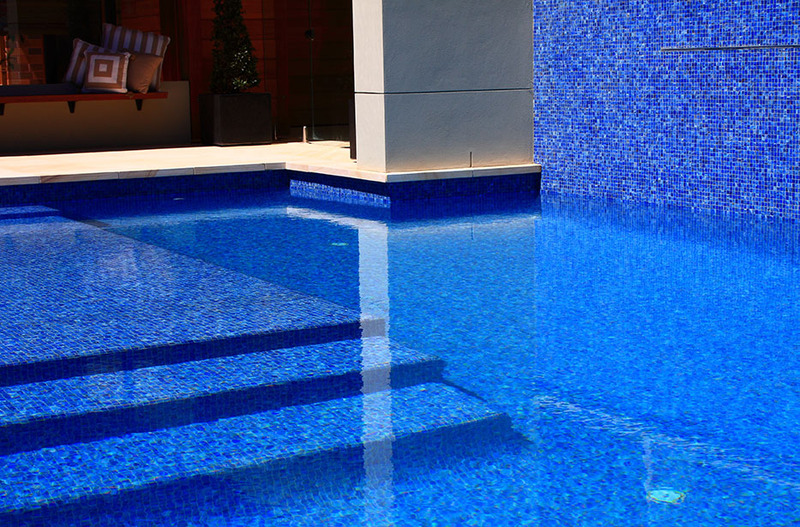 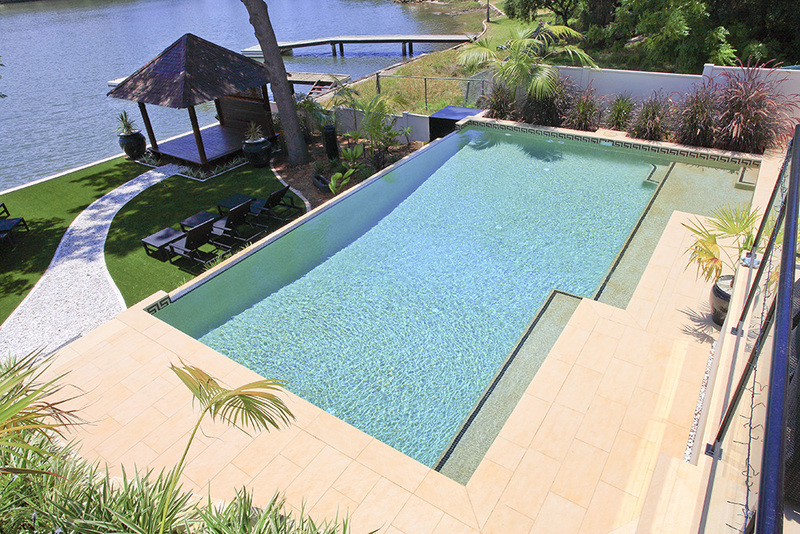 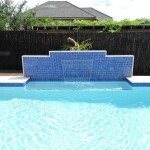 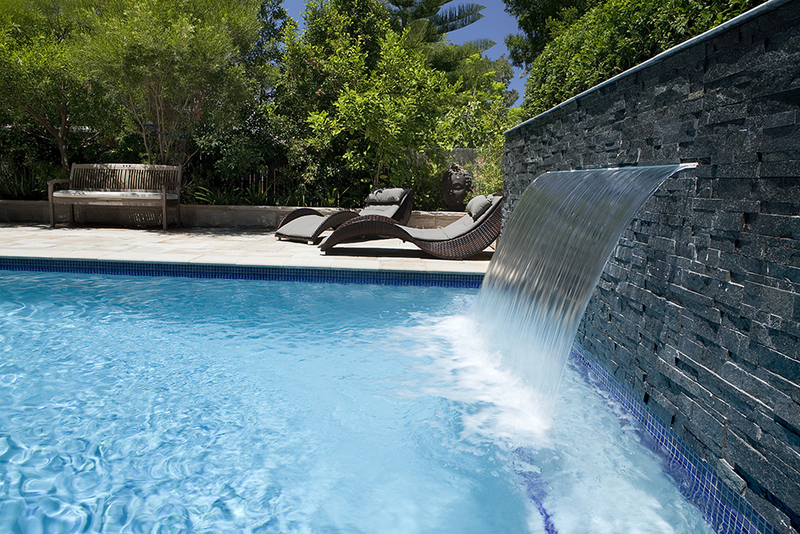 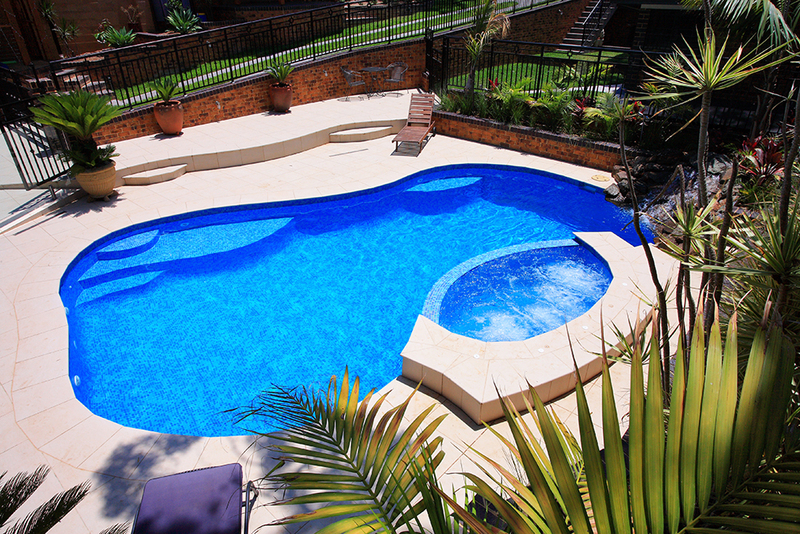 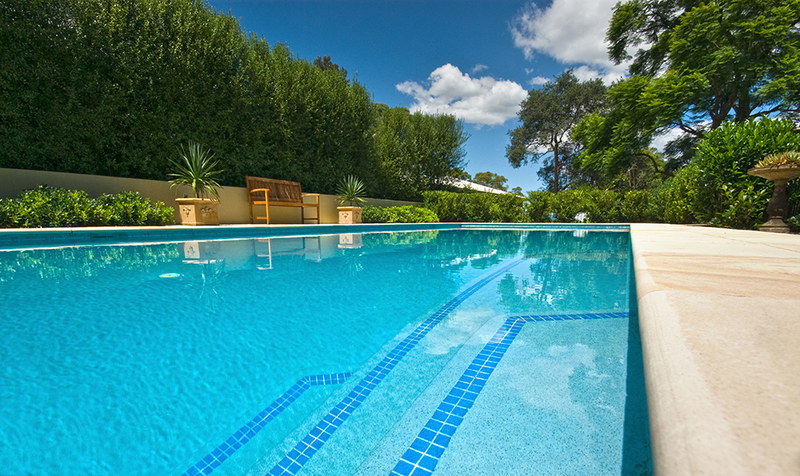 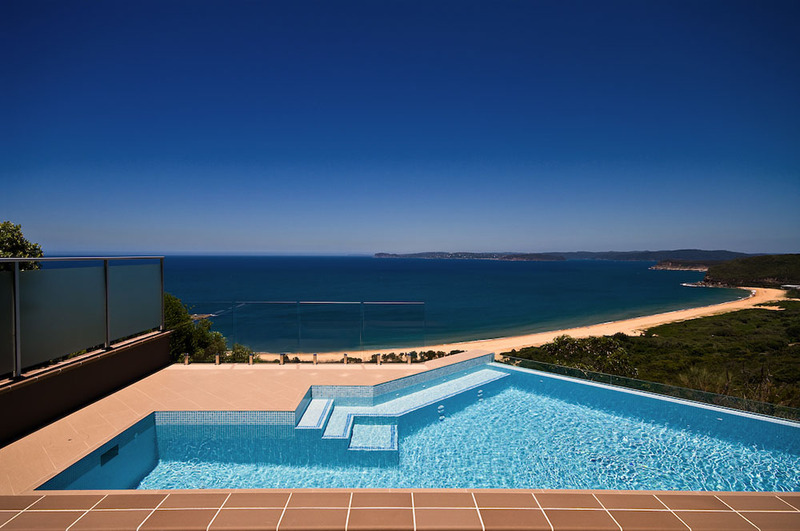 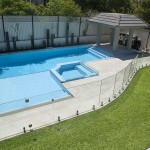 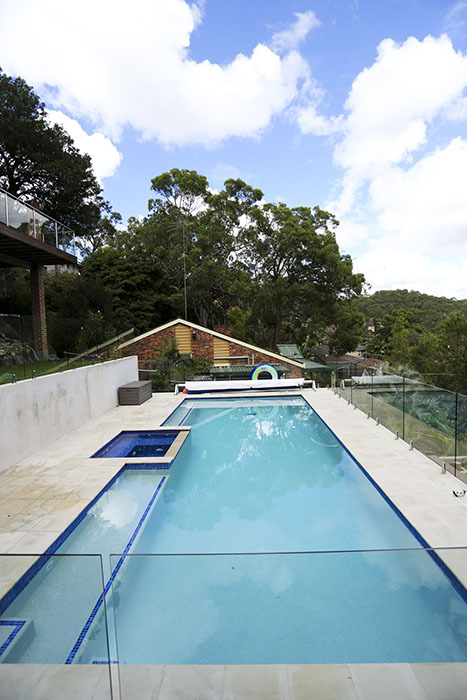 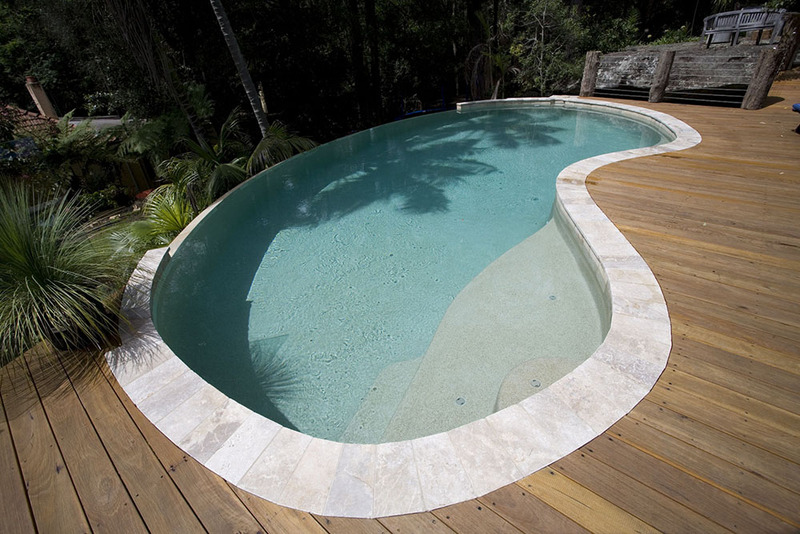 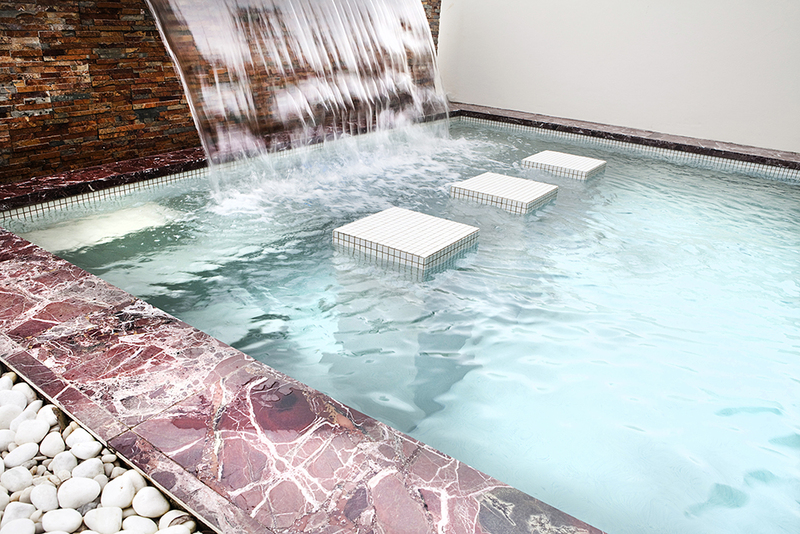 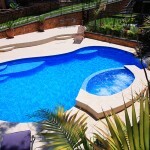 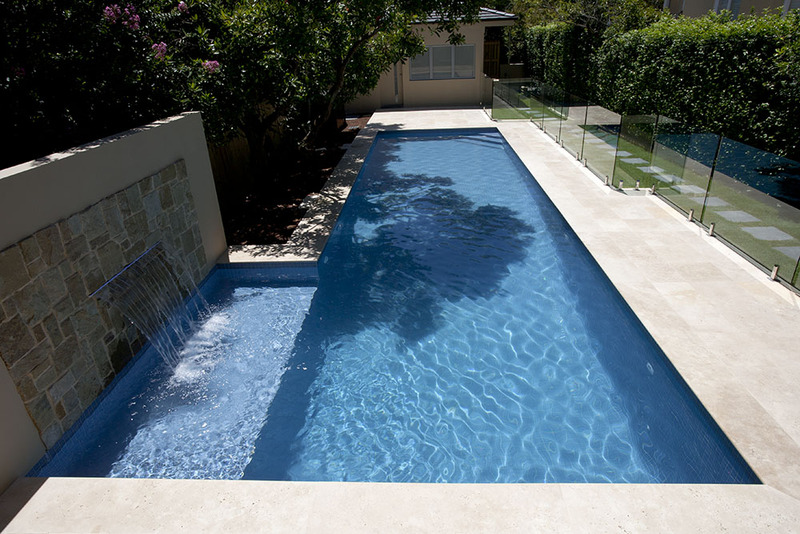 “Around 95% of our clients opt for a ledge as so the pool can be used for multiple purposes”. 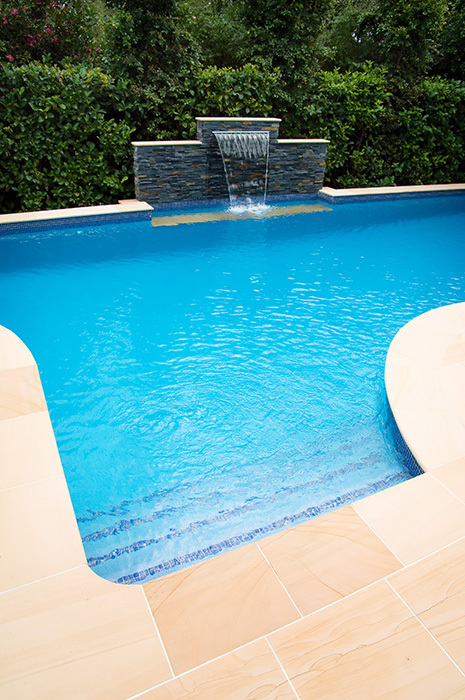 Also known as tanning ledges or swimout shelves, ledges form a wide, shallow area platform that provides a place to play, relax and cool off without submerging yourself fully into the water. 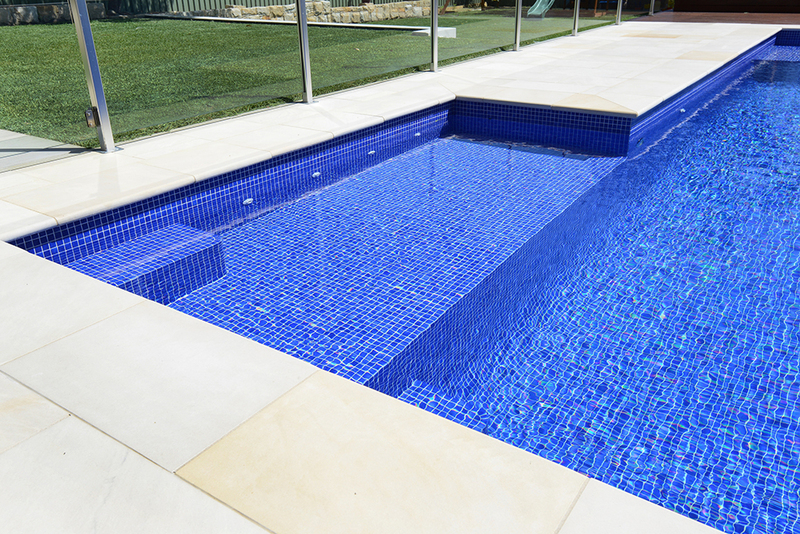 “One of the most popular ledges is to one side at the deep end of the pool as it acts as a hand-hold, providing additional safety for youngsters”, says Andrew. 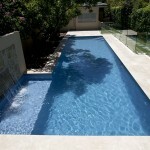 A great feature for kids of all ages; perfect for toddlers to splash and grow accustomed to the water. 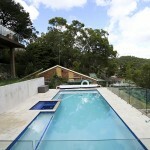 And as they get older it becomes a fantastic launching platform for their floating toys. 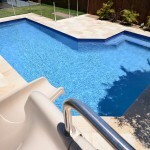 Ideal for the big kids also, parents can lounge while supervising kids or for those who just like to laze near the pool without getting fully into the pool. 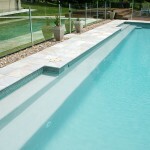 Ledges can be straight or curved and maintain a consistent depth of approximately 500mm. 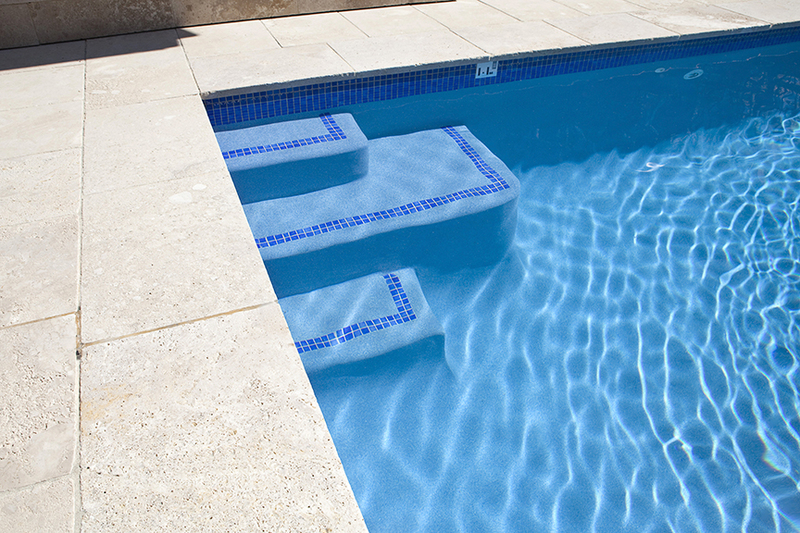 Whilst ledges can be designed to fit your needs they are typically between 400 to 600mm wide. 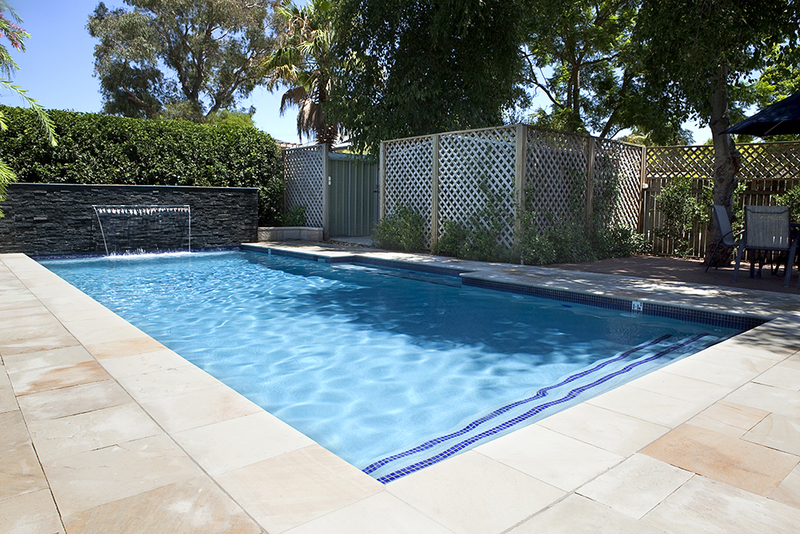 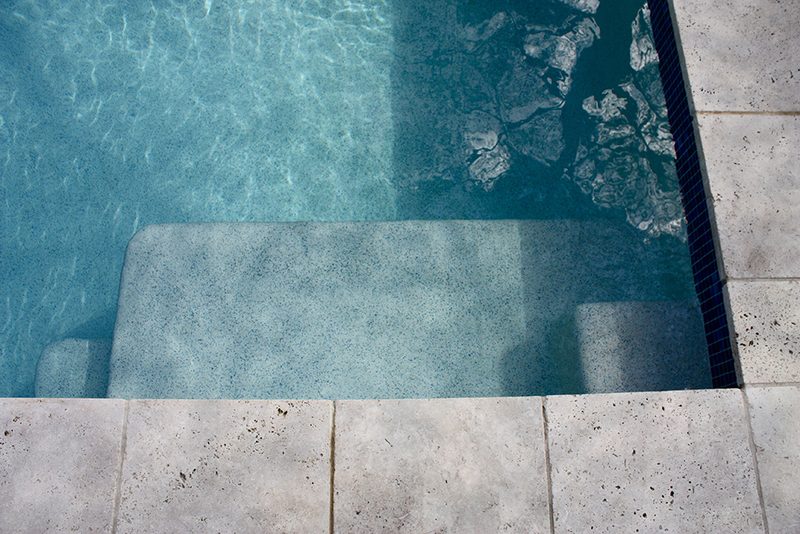 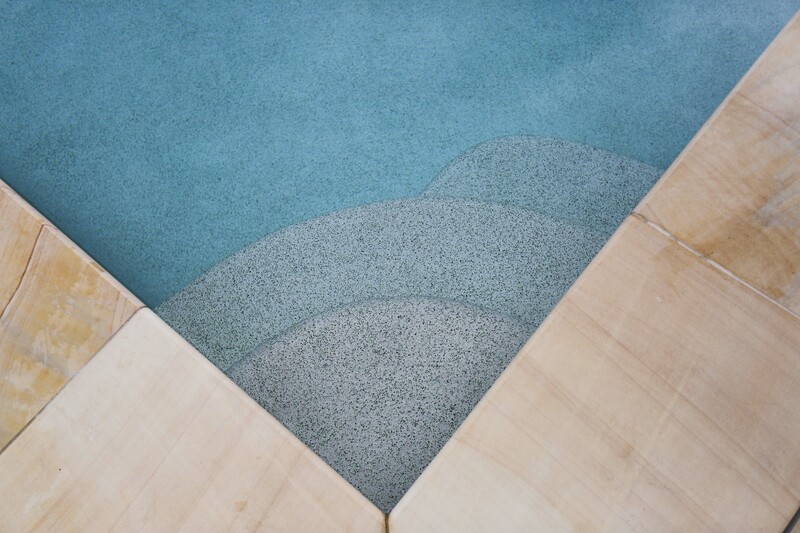 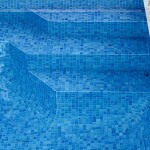 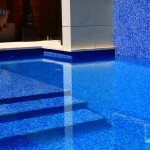 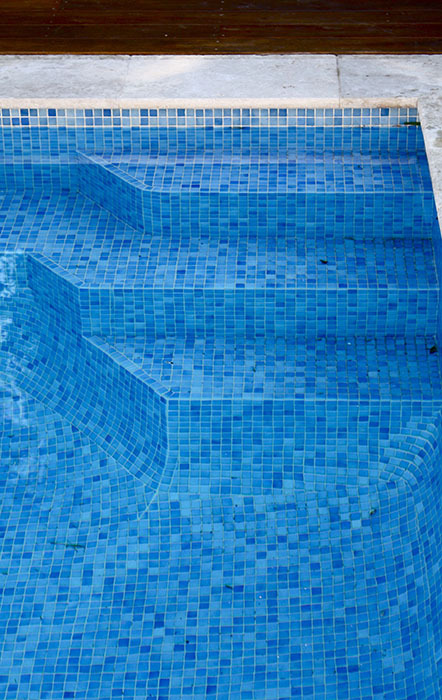 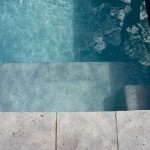 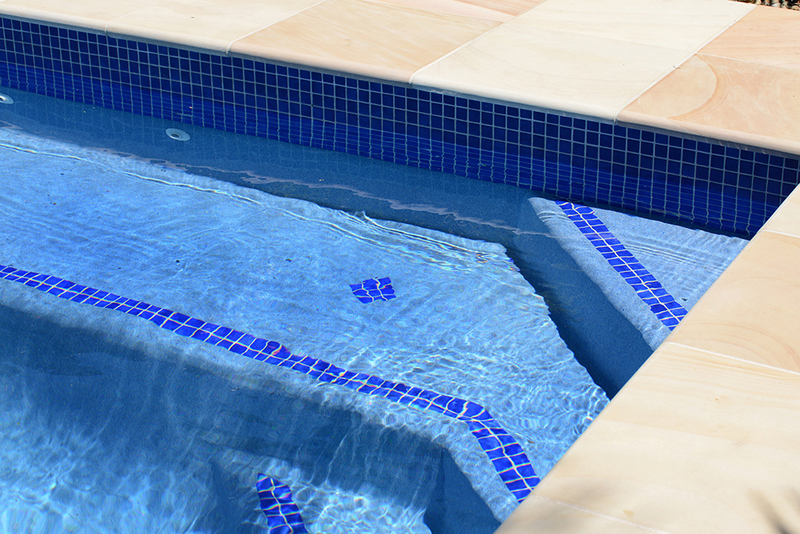 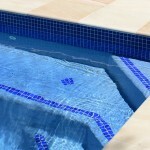 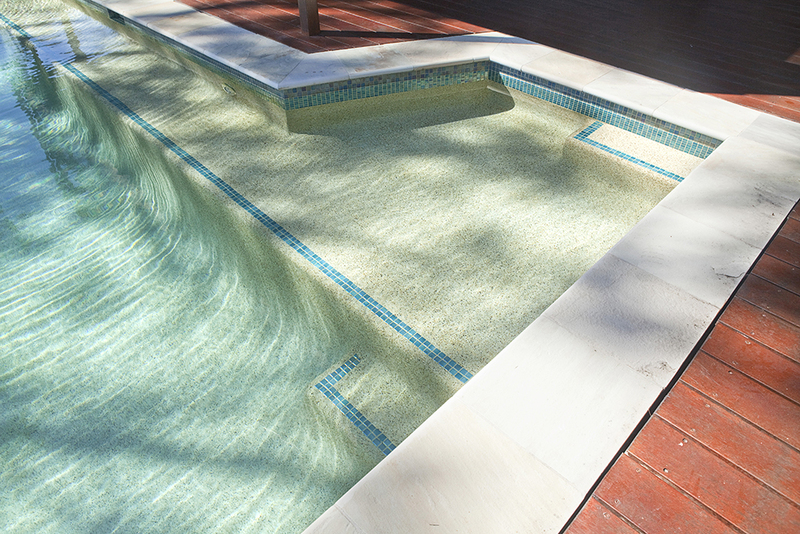 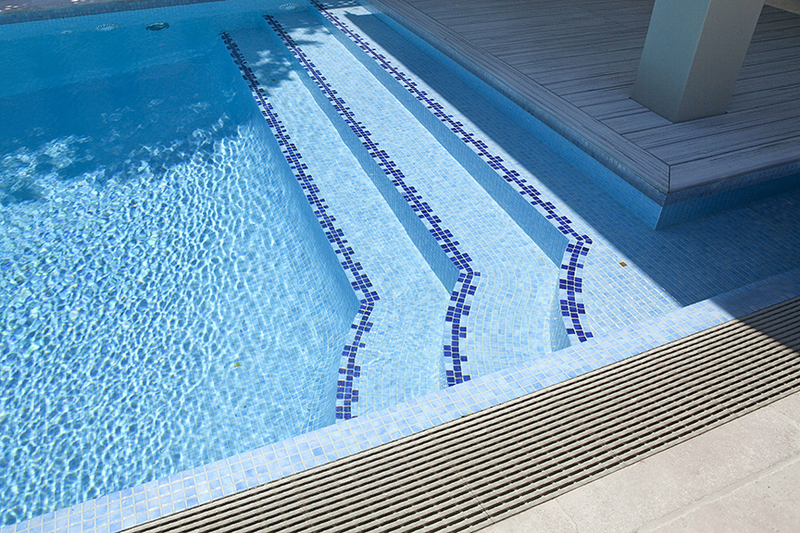 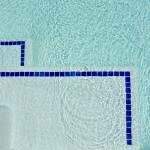 All ledges should be fitted with a step-tread tile to ensure the edge is highly visible from above and below the water. 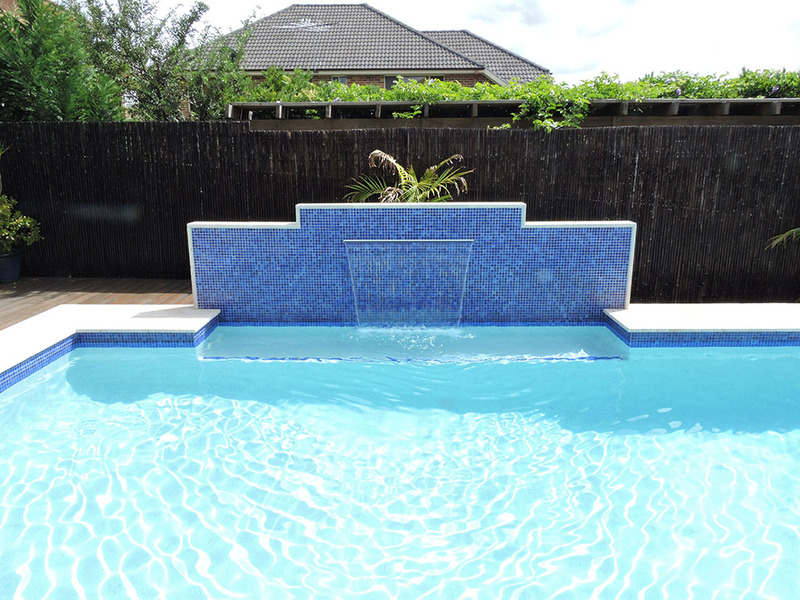 Perfect for a tropical themed backyard, a beach entry pool brings a bit of the tropics to your backyard. 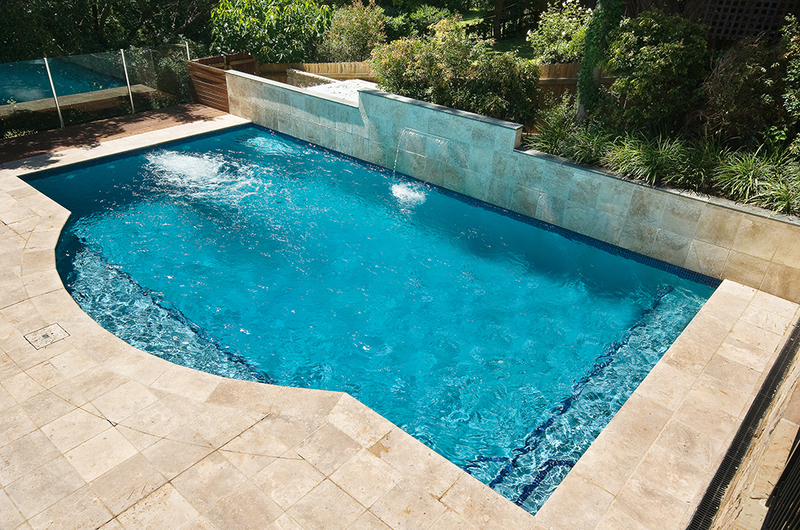 In concrete pools, beach entries are an extended ledge rather than a gradual slope. 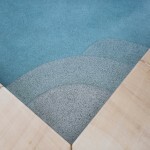 Easier access for kids and older people with accessibility issues as there are no steps or ladders to navigate. 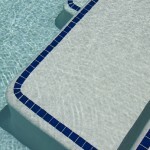 Provide a great paddle place for toddlers for them and a great way for adults to supervise.